John Sindelar is an artist of international repute. 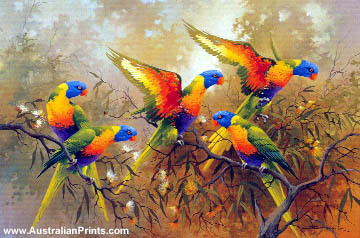 His works have been widely acquired by private and corporate collections in many countries. 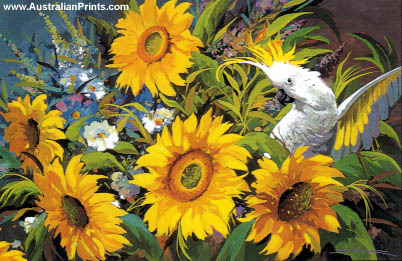 European born, John (Jean) Sindelar is an artist of international repute. As a young man, he studied fine arts in Belgium before emigrating to Australia. 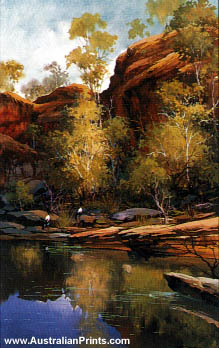 Heading inland he painted the land and became part of The Bush Artists from Broken Hill. 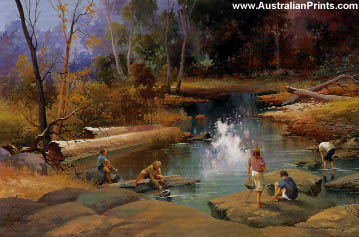 He is a master at capturing the feeling of light – light slanting through leaves, lying sharply on ridges or seen reflected in water as with ‘The Yabbie Catchers’. 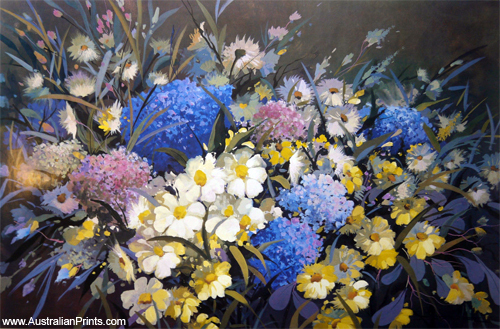 Sindelar excels in the large panoramic oil on canvas. 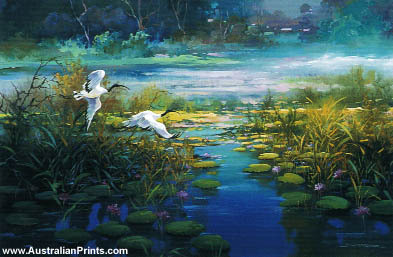 His landscape style is romantic impressionist using a loose sweep with clean straight pigment and a widely varied colour harmony, as shown in the images ‘Blue Lagoon’ and ‘Trumpet Geese’. 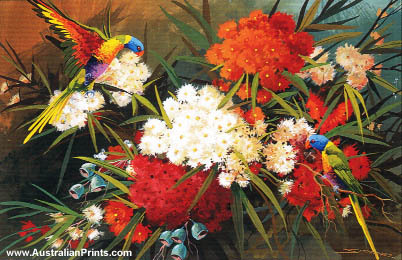 Sindelar has won a succession of prizes including the Malvert Art Prize (1973), the Woodend Art Prize (1974), the Beenleigh Art Prize (1982), the Labrador Art Prize (1984) and the Trinity Art Prize (1986). His works have been widely acquired by private and corporate collections in Australia, England, the United States of America, Saudi Arabia and Europe. 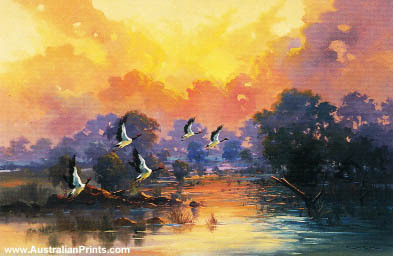 Artist information page for John Sindelar.